After being announced in early October, we finally have firm launch dates for Microsoft’s newest Windows Phones in the US: November 20 and November 25th. The smaller Lumia 950 is set to go on sale Friday via AT&T, but if you want to get your hands on the larger and slightly more powerful Lumia 950XL, you’ll have to buy it unlocked from the Microsoft Store (you can preorder now but orders won’t ship until the 25th). If you need a recap, both devices come with a QuadHD display (5.2 inches on the 950 vs 5.7 inches on the XL), 3 GB of RAM, 32 GB of storage, USB-C, Qi wireless charging, removable batteries and microSD card support. 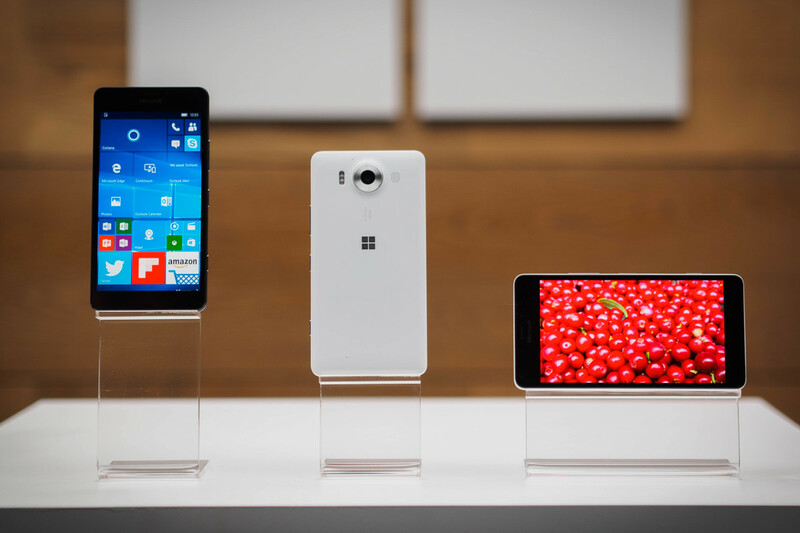 The Lumia 950 runs on an hexa-core Snapdragon 808, while the 950 XL uses the slightly more powerful octa-core 810. The standout hardware feature on both devices is undoubtedly the 20-megapixel camera, which Microsoft says is even better than the one on the Lumia 1020, long regarded as one of the best mobile cameras around. On the software front, the devices will be the first to launch with Windows 10 Mobile (meaning they can run virtually any universal app made for Windows 10). Of particular note is a feature called Continuum, which allows the phones to run universal apps in desktop mode when connected to a monitor. Unfortunately, the exclusive launch on AT&T means that the 950 will almost certainly not see much commercial success; exclusivity rarely works for brands lagging well behind competitors. Likewise, an unlocked price of $649 doesn’t bode well for the 950 XL, with devices like the Moto X Pure Edition and OnePlus 2 pushing the boundaries of price range for a flagship device. It’s an odd choice of launches for a company that has to put in a lot of work to come anywhere near Android and iOS’ penetration. Still, at least Microsoft’s getting the ball rolling with some new hardware with specs to match competitors; perhaps the new Lumia devices will just be placeholders while more developers build Windows 10 apps before the long-rumored Surface phone arrives.